My goal is to release the knots and tension isolating the muscles from their full potential of movement. My style of massage is slow, intuitive and effective. My goal is to be the best massage therapist for each and every client that I get to help. My Name is Abbie, I am the owner and sole LMT at Lility Massage​. I am a 2013 graduate from Everest College. In 2017, after working for other companies, I decided to open my own massage practice. Since then, I have been the sole operator with high hopes to expand in the future. It has been an incredible Journey so far and I'm excited to see what the future holds. ​I have been a massage therapist for 4 years. In that time I have fallen in love with massage over and over again. Each of my massage clients become a small mission to me, how quickly can we work as a team and achieve the goal? My sessions begin with myofascial work, stretching and warming up the tissue. 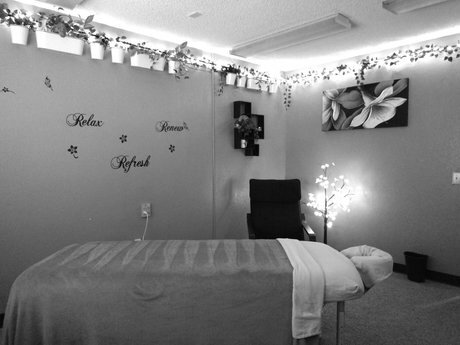 Then, I use techniques such as Trigger Point Therapy, Deep Tissue, Swedish Relaxation, Sports Massage, Prenatal, Treatment Massage and various types of stretching to manipulate and relax the muscles. 60 min full body massage. Abbie is experienced & competent with a friendly manner. She has a great studio. Friendly and knows what she wants! As, always Abby is amazing! I'm glad I could help, good luck with your business!